The drill was conducted by the Western Theater Command of the People's Liberation Army (PLA). The location and timing of the exercise were not disclosed. 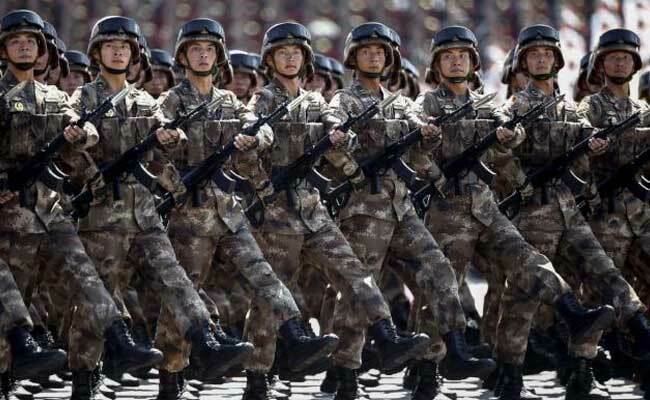 Beijing: Amid escalating tensions over the Doklam stand-off with India, China has conducted a military drill in the western part of the country. The drill was meant to "strike awe in India", a Chinese military expert was quoted as saying by the Lianhe Zaobao daily. According to the China Central Television, 10 PLA units, including aviation and armoured forces, participated in the drills. Tibet, Xinjiang, Ningxia, Qinghai, Sichuan and Chongqing comes under the newly formed Western Theater Command. In July, the PLA had conducted a live drill in Tibet, which borders India. China has said its army is ready for a military conflict with India, whose troops are on its territory in Doklam. Indian and Chinese troops have been engaged in a three-month stand-off at Doklam in the Sikkim section of the India-China border. India and Bhutan say the area belongs to Thimpu, but China calls Doklam as its own. Beijing wants New Delhi to withdraw troops from Doklam. New Delhi is for a simultaneous pullback of both Indian and Chinese troops.